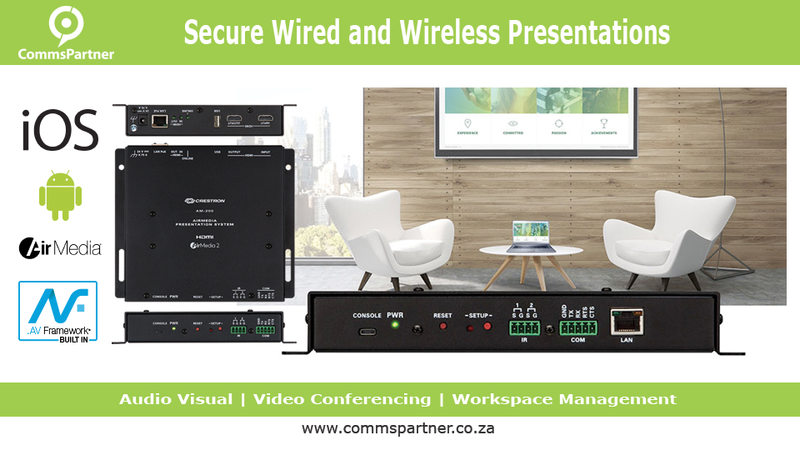 Bring flexibility to your meeting rooms with the new Crestron AirMedia Presentation System 200 (AM-200), which enables secure wired and wireless presentations, and integrates with popular calendaring platforms. It is also easy to deploy and manage, increases workflow, and facilitates collaboration by turning under-utilised spaces into productive meeting spaces. 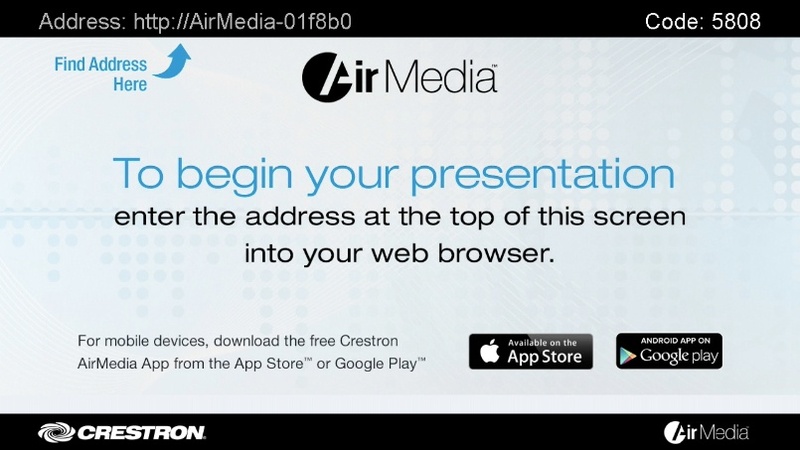 Crestron AirMedia technology allows for the wireless presentation of content from a laptop, smartphone, or tablet device via a Wi-Fi wireless network. 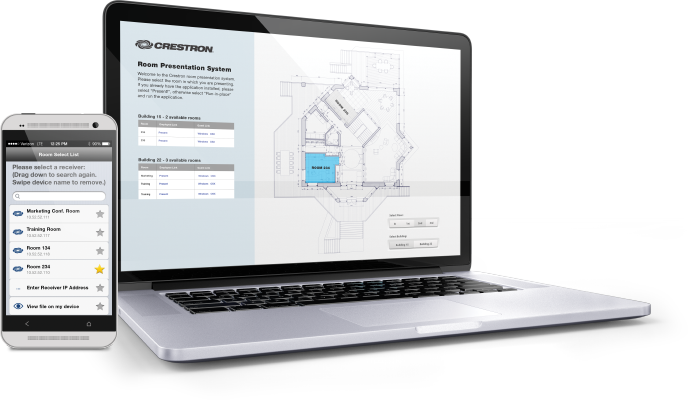 With Crestron AirMedia, anyone can walk into the room with a Windows or MacBook laptop and connect without wires, enabling the presentation of any content including Full HD video at frame rates up to 30 frames per second. iPhone, iPad, and Android devices can present PowerPoint, Excel, Word, and PDF documents, as well as pictures, videos, or any app content with full-screen mirroring. When no presentation source is connected, the Crestron AirMedia Presentation System 200 (AM-200) displays a customisable welcome screen on the room display with simple instructions for connecting and presenting. Integration with Microsoft Exchange, Office 365, G Suite, or Crestron Fusion calendaring allows the meeting space’s availability and details about the current meeting scheduled, to appear on the in-room presentation display. As the meeting session progresses, gentle notifications appear periodically to indicate how much time is remaining in the meeting and what’s scheduled next. Pop-up messages, sent from Crestron Fusion, may also appear prominently on screen in the event of an emergency or other important announcements.